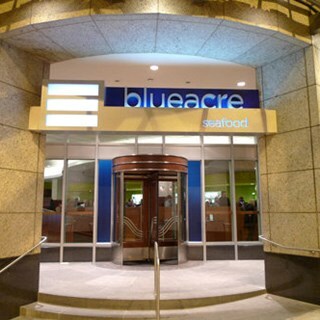 Blueacre Seafood draws upon the vast array of wild seafood available from the United States coastal waters as well as carefully chosen, sustainably-farmed freshwater species, oysters, clams and mussels. Unconstrained by genres—the food, music and atmosphere are designed to inspire emotion. 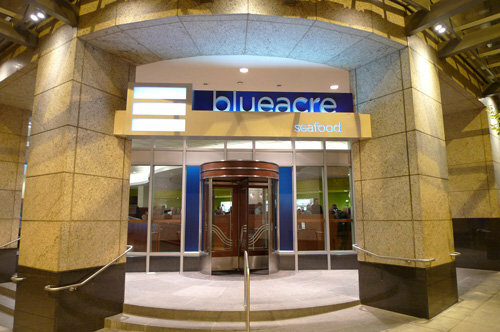 In addition to all things aquatic, the menu includes farm-fresh meat, game, poultry, and vegetables. Classic handmade cocktails are shaken in a comfortable bar well stocked with American spirits, wine and craft beers on tap.